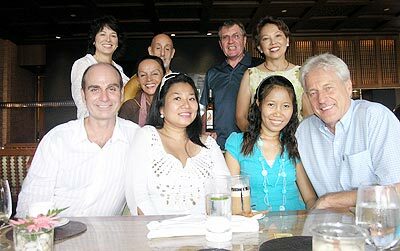 Guests at the Chedi’s Charity Rooftop Lunch, which raised over 12,000 baht for the charity. 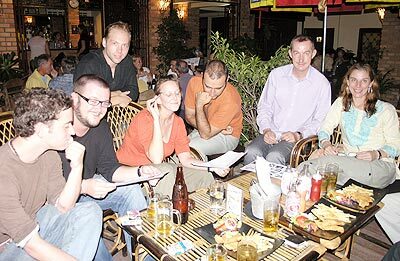 Two teams, the Soi Dogs and the Beamers, tied for first place at the monthly Garden Bar Quiz. 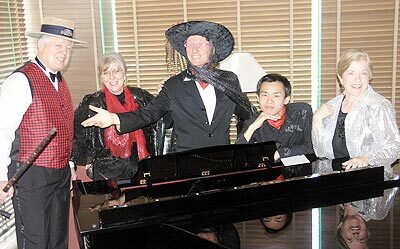 ‘Let Us Entertain You’ – Mark Walder and friends leading the entertainment to promote FERC’s annual fundraiser to be held November 22 at the Shangri-La. Victor, Pom, Por, Thods and Tan having a great party at D2 Hotel. 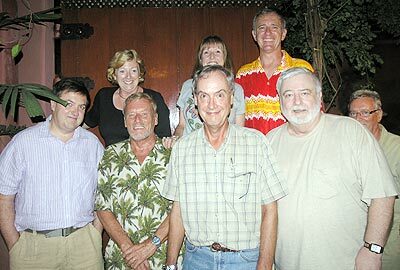 ‘Bertha’s Tub Girls’ competing last Monday at the Tuskers Bar & Grill Quiz. 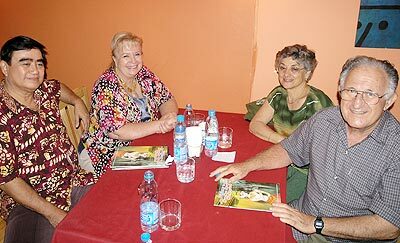 Goson, Marji, Rose and Michael trying out the new Salsa Kitchen on Huay Kaew Road. Chiang Mai Mail’s accountant, Supattra Boontiem (left), and delivery driver, Thatthep Sriman (right), recently celebrating their joint birthday party with friends and office colleagues at the Chiang Mai Garden restaurant and karaoke bar.